Steve Jones proudly showcasing the fantastic work at Cae Bodfach. I (Han) was very impressed by the neat hedgerow matrix we achieved! 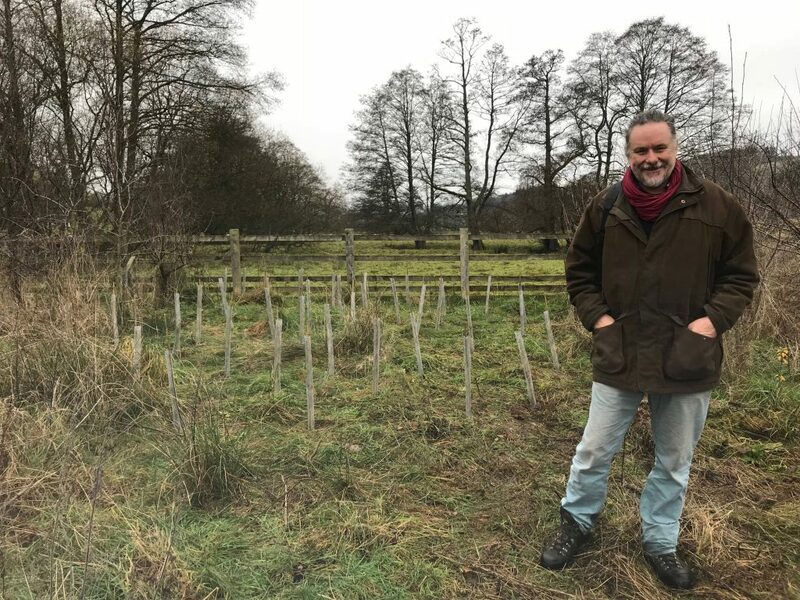 This winter we have planted over 400 native trees and shrubs at Cae Bodfach with local volunteers, MENCAP and Llanfyllin high school students in the form of shelter belts and hedgerows. Go Team! 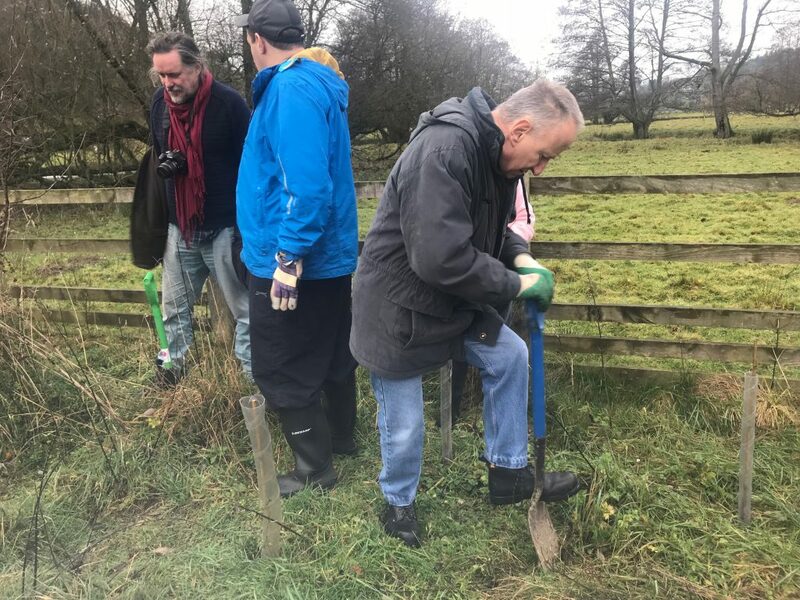 A mixed variety of native tree and shrubs including Hazel, Dog rose, Blackthorn and Elder were planted to fill in the gaps along the Bofach and Cae Bodfach field boundary. The trees came as part of a free pack supplied by the woodland trust in November. We purposely chose fruiting and nut trees to maximize the yields from the tree planting efforts! Hedgerows create an important refuge for wild plant and animal species and in an increasingly disconnected landscape, they act as vital wildlife corridors which help creatures move safely from one habitat area to another and provide much needed landscape-scale connectivity. Natures highways come in many forms including; waterways, long grassy verges, green roofs and of course.. hedgerows! Habitat loss and fragmentation are considered as the leading drivers of biodiversity loss. 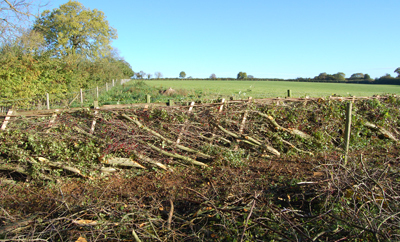 Pressures of agricultural intensification, poor management and removal has resulted in a decline of hedgerows in Britain. If wildlife species lose the means of travel from region to region because hedgerows are damaged or removed completely, they become isolated and vulnerable to the ‘island effect’. Wildlife depend on these crucial highways.. the link to the removal and degradation of wildlife corridors and the decline in wildlife is very real. 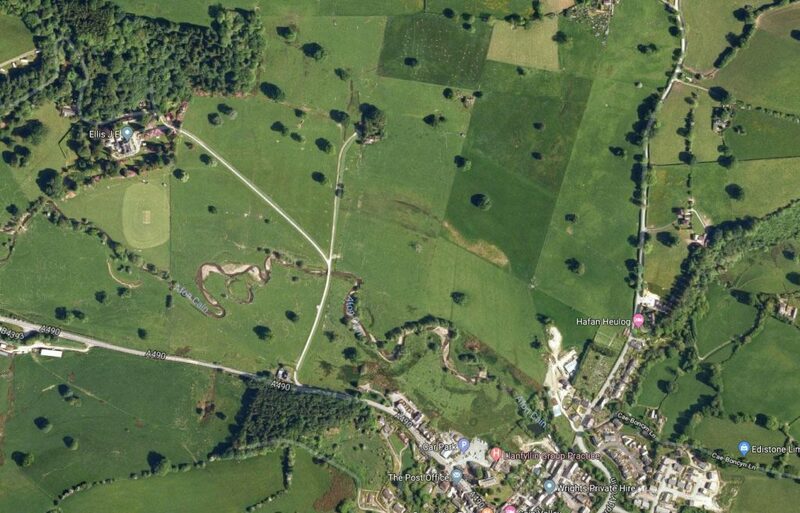 The ‘island effect’ happens when a habitat patch becomes isolated by being surrounded by an expanse of unsuitable habitat, such as agriculturally improved pasture. Without the freedom of movement, genetic pools and resources become dangerously low until eventually the habitat is unable to support or rejuvenate itself and it dies out. 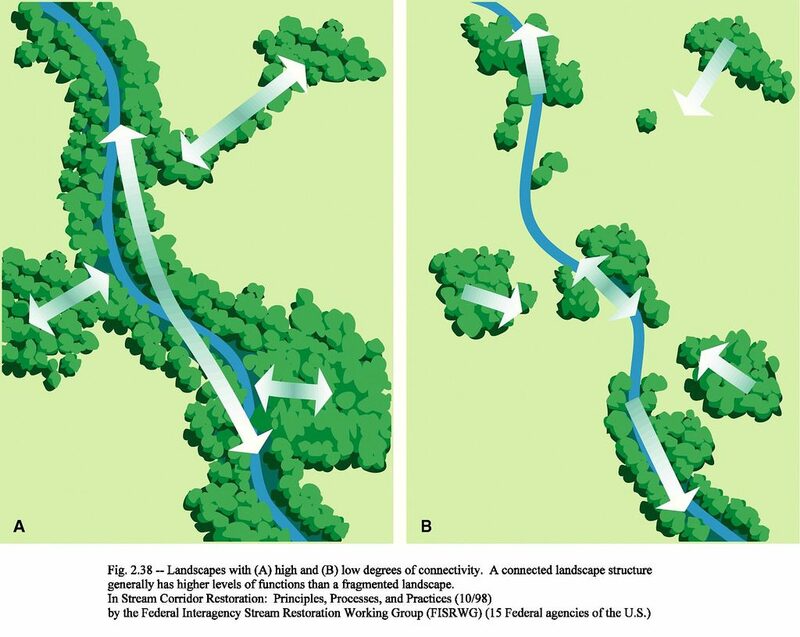 Therefore it is vital to actively increase and safeguard connectivity to the waterways and other habitat patches to prevent habitat isolation and fragmentation. Enter: Hedgerows! Good management of hedgerows is key to the obtaining the benefits from these valuable resources. Neglect and poor management leads to hedges becoming overgrown with tall trees and undesirable gaps appearing. 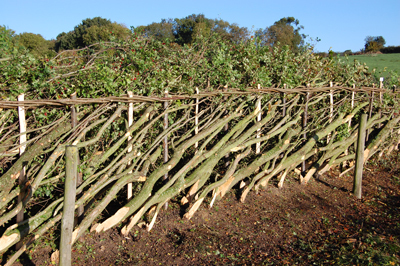 When managed correctly, by hedge laying or coppicing, hedgerows can be supportive for both humans and wildlife. Beneficial relationships: the natural world has long been intertwined with human activity: its our choice to make it a positive or negative relationship. The traditional skill of hedge laying is a regenerative practice that ensures the health of the hedgerow and its functional and ecological value. Just as with the art of stone walling, over the years many regional variations in hedge laying style and technique have developed resulting in an authentic regional character and with it a meaningful sense of place and culture. So I’m told .. A hedge layer in Monmouthshire would know if he found himself wandering into a different county! With proper management it is possible to coexist harmoniously, to work with nature and build supportive and regenerative relationships with the natural world.